How Do Hiring Managers Screen Job Applications? Each organization can have a slightly different process for screening job applications, but the basics remain the same. Hiring managers or human resources staff briefly review all applications looking for applicants who meet the minimum requirements outlined in the job posting. The goal of screening is to pare down the number of applications that receive a thorough review. Screening cuts down the time hiring managers must spend reviewing applications while preserving fairness in the hiring process. Since hiring managers look for the bare minimum in screening, they are comfortable with the cursory review. Applications that look promising are reviewed more thoroughly later. Precisely when the screening starts is up to whoever is doing the screening. Some hiring managers and human resources staff like to screen applications as they come in. Others prefer to wait until the posting closes and all applications have been received. Either way, the process remains fair. because there is no comparison among applicants in the screening process. Rather, each application is compared to the minimum requirements from the job posting. Applicants who do not measure up are screened out. Those who meet the minimum requirements remain in contention for the job. The minimum requirements listed in the posting are usually easy to spot on the application. For example, one requirement could be a bachelor’s degree. The screener can go to spot on the application where applicants list their degrees. Checking for this requirement takes a few seconds for each application. Another minimum requirement could be a particular number of years of relevant experience. While not as easy to identify as education, this requirement is still simple to spot on an application. Based on past job titles, start dates, end dates, and a skim of the job duties, a screener can determine whether this requirement is met in about half a minute. Even though screeners spend as little time as possible on each application, this task is still tedious and time-consuming. Say it takes a screener an average of 3 minutes to screen each application. If there are 50 applicants for the job, it would take the screener two and a half hours process all the applications. In addition to comparing applications to the minimum requirements, screeners look for applications that are poorly written, do not adhere to instructions or have unexplained anomalies. Hiring managers know they will not hire people who submit applications with these problems, so the offending applications are removed from the hiring process as soon as those problems are identified. Say an application shows an applicant has a nine-month gap between his current job and the job before that. The applicant writes that he left that job to take the next one. This reason does not jive with the nine-month gap. In fact, the reason looks like a lie. Instead of asking the applicant what the real story is, many screeners would simply screen out the application. Had the applicant given a plausible story—even if it portrays the applicant in a negative light—the applicant would have been more likely to remain in the hiring process. Screening ends after all applications have been given the cursory review. Applications that remain are compared to one another to determine which applicants will move on to the next step in the process which is often an interview. For the most part, screening just gets rid of applicants who had no business applying for the position in the first place. Qualified candidates may not get an interview, but they are not removed from the process during screening. Those candidates are removed when the hiring manager compares the applications that made it through screening. Why Might a Job Postings Have No Closing Date? Can an External Applicant Apply for Internal Job Postings? Do Current Employees Have an Edge in Getting Government Jobs? Should You Be Following Up on That Recent Job App? What Are the Reasons Why Government Jobs Reposted? 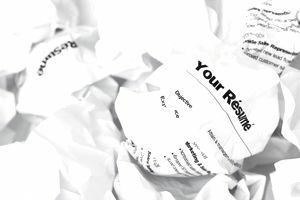 Should You Reapply for a Job That Gets Reposted? Should You Bother Applying for a Job After the Closing Date?